We hope that our website gives you a flavour of what makes our school special: a small, rural, Church school, where the needs of the unique child are central to all that we do. We serve the villages of Long Sutton, South Warnborough and Upton Grey, although several of our families come from outside catchment, including the town of Odiham and RAF Odiham. Our core Christian values of Love, Courage and Hope reflect the ethos of our school, where children are nurtured and encouraged to show love to themselves and others, to have the courage to do the right thing and to achieve their hopes and aspirations. 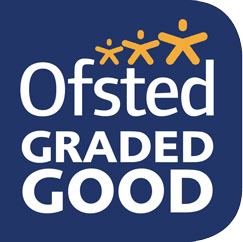 We believe that high quality learning experiences, across the whole curriculum, develop high aspirations and allow all children to shine. Our school rules are simple and memorable: Be Kind; Be Respectful; Be the Best You Can Be. These rules are evident in every aspect of school life. If you would like to arrange a visit to our school to meet our Headteacher, our committed staff and our wonderful children, please contact the school office.